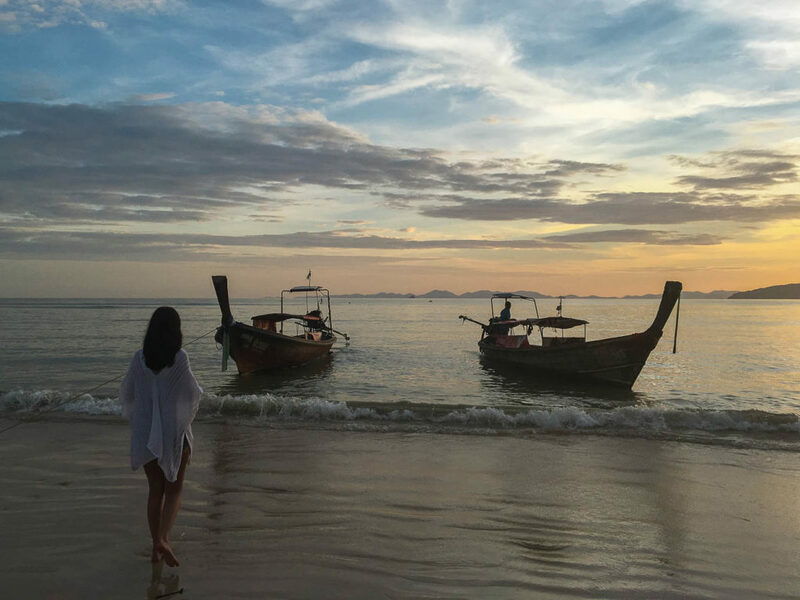 Railay Beach in Krabi, Thailand made its way onto my travel radar in May 2016. 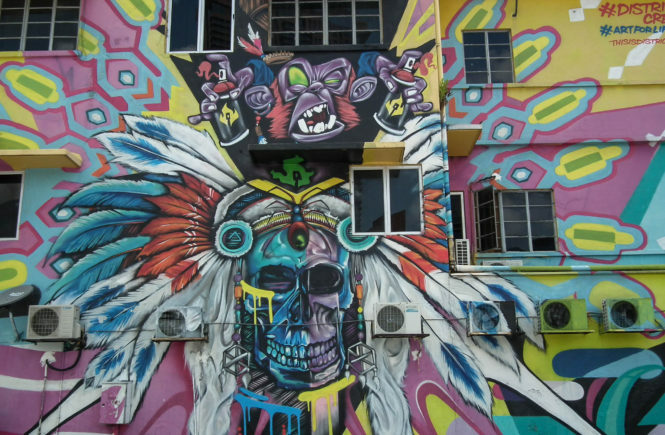 Back then, I had just begun my travel Instagram account and Krabi happened to be a hotspot at the time for many other travel Instagrammers. 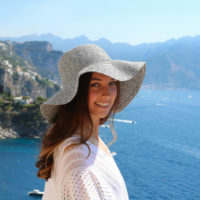 This meant that my Instagram feed was constantly taunting me with a stream of the destination’s most stunning beaches, friendly little monkeys, tropical sunsets and picturesque wooden swings overlooking pastel green waters. 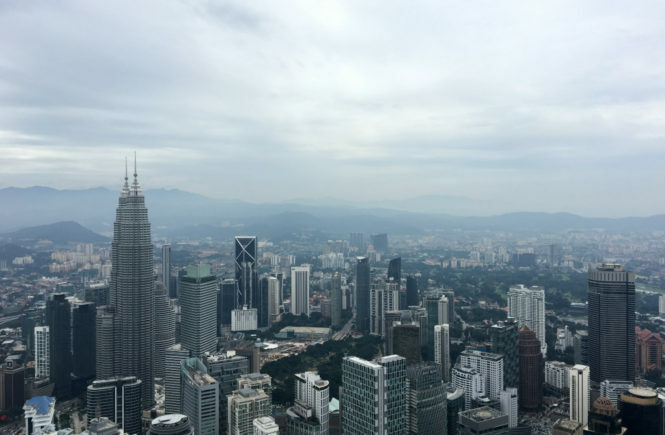 I had been working and living in Malaysia at the time so I was in perfect proximity to take advantage of the short (and cheap) plane ride to Thailand for the weekend. 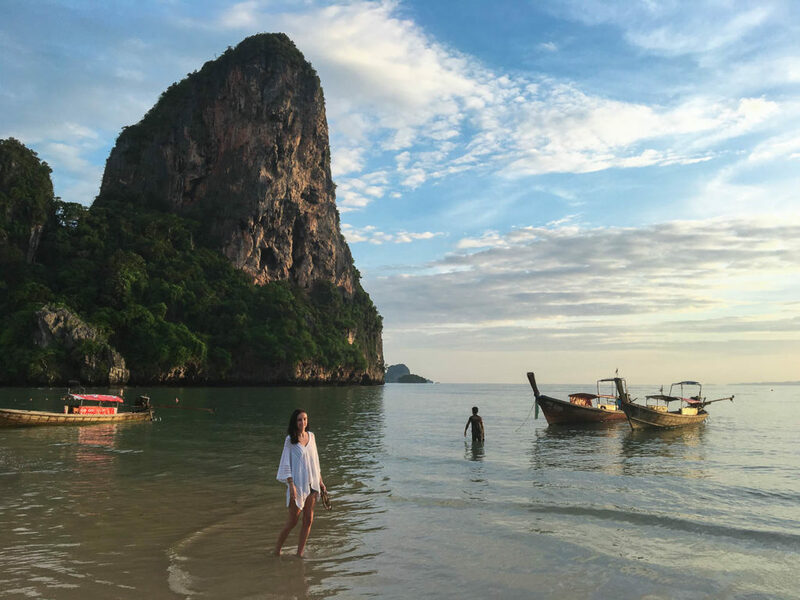 After spending the last two months in a big, bustling city, working long days and commuting back and forth as a sardine in the tin can that is the Kuala Lumpur metro system, Railay Beach certainly proved itself as one of the most relaxing places to unwind. 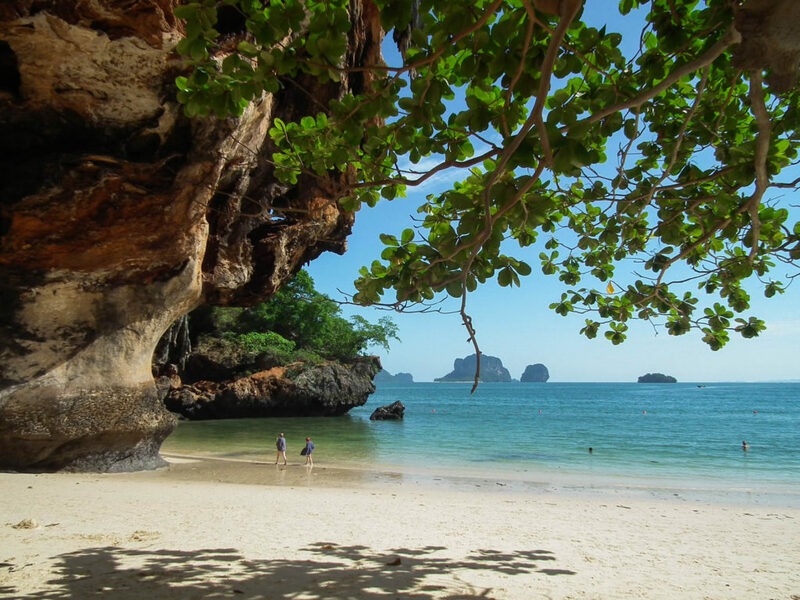 Railay Beach is a small, isolated peninsula, situated between the city of Krabi and the tourist hub of Ao Nang. 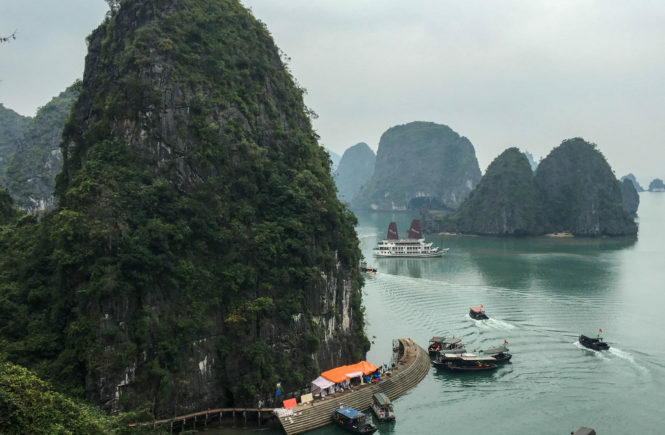 What makes this hidden paradise so isolated is that – even though it’s so close to such big tourist hubs – the only way on and off the island is by boat. This is due to the nature of the landscape in which the high limestone cliffs prevent land access to Railay from the mainland. 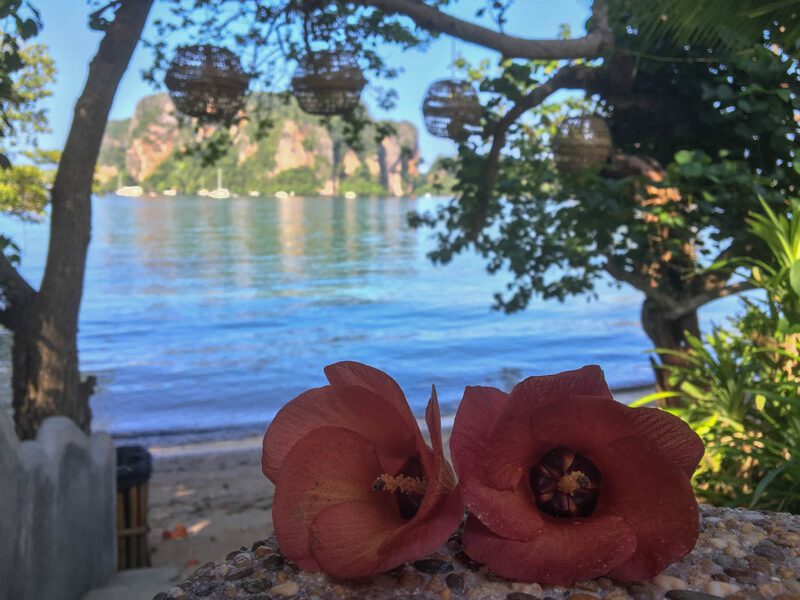 Railay, albeit small, seeks to please thrill seekers with its high limestone cliffs as well as those who come to simply relax on the beach, with plenty of opportunities for days trips and island hopping for those who want to see more of Thailand. 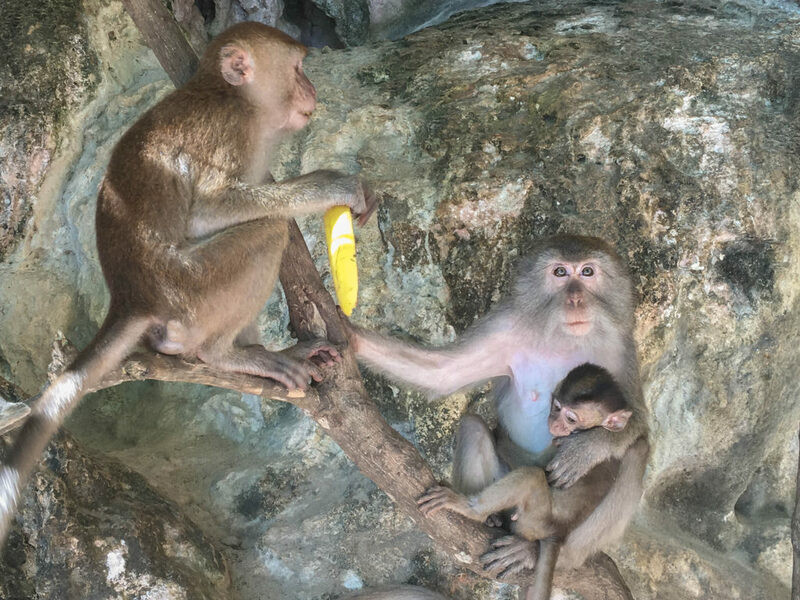 Aside from taking in the beautiful surrounds of Railay, the peninsula is also a well-known hotspot for rock-climbing due to it karst topography, in this case, Railay’s mountainous limestone formations. For those who would prefer to have their feet grounded, there’s plenty of dreamy soft-sand beaches to safely squish your toes into. 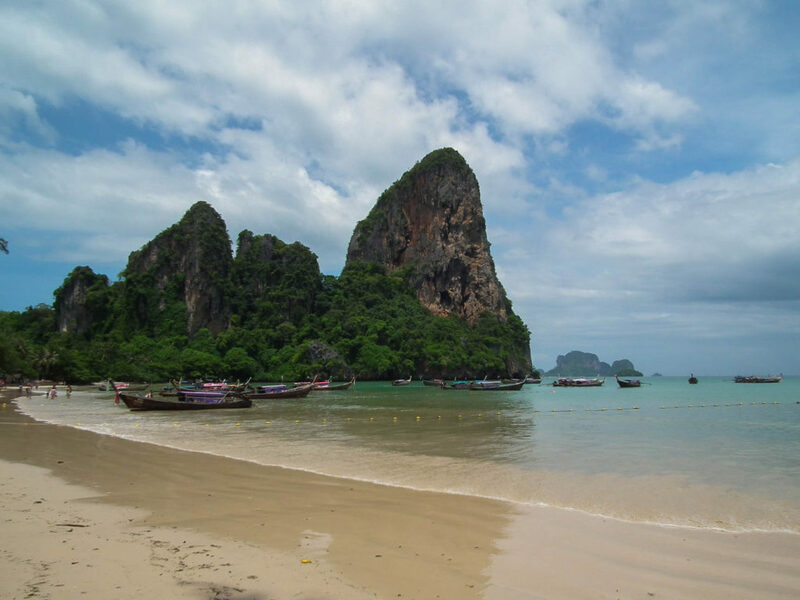 Railay has four beaches: Railay East, Railay West, Tonsai and Phra Nang. 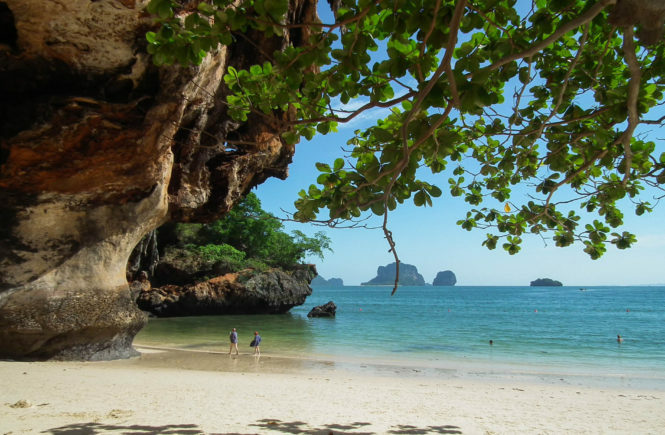 I’d recommend Railay West and Phra Nang if you’re looking to spend a day swimming and sunbathing at the beach. 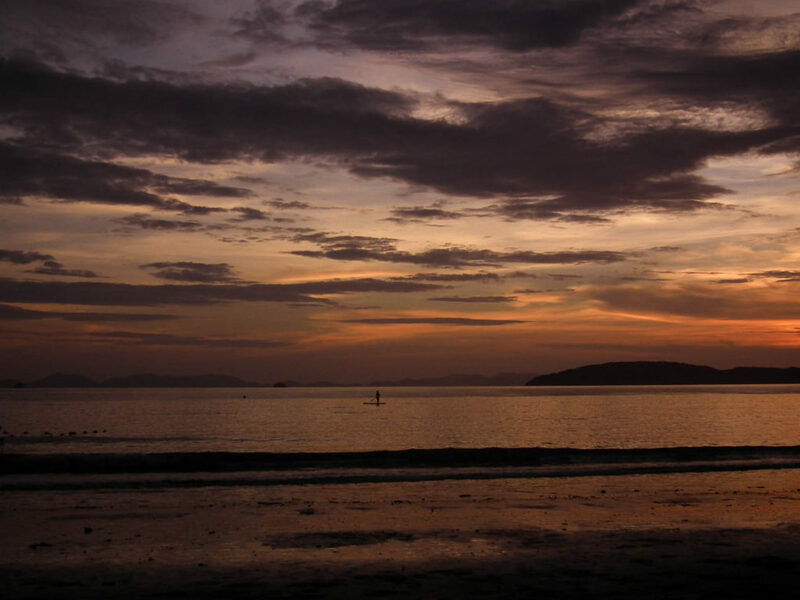 One thing that you absolutely cannot miss during your time in Railay is watching the sunset. I’d suggest heading to the west side of Railay for the best vantage point. 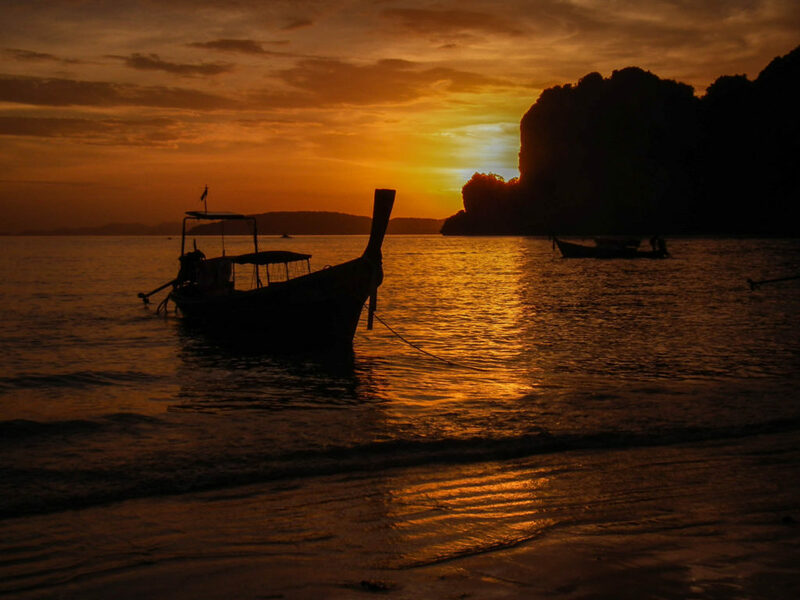 In the evenings, traditional long-tail boats even anchor right on the beach and as the sun goes down the boats become silhouettes in front of intense golden and purple hues. 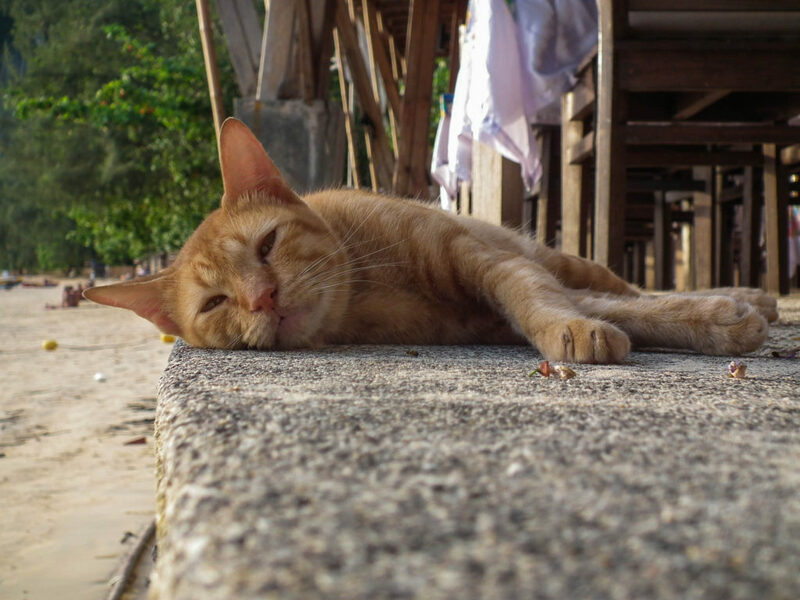 When I say “wildlife” I’m not referring to the tourists who’ve had a few too many Singhas or too much SangSom, but the sunbathing island cats, artsy sand bubbler crabs and groups of rambunctious monkeys that inhabit the area. These guys can please a cat-lady tourist, provide an open-air sand art display or amuse with their ‘monkeying around’. 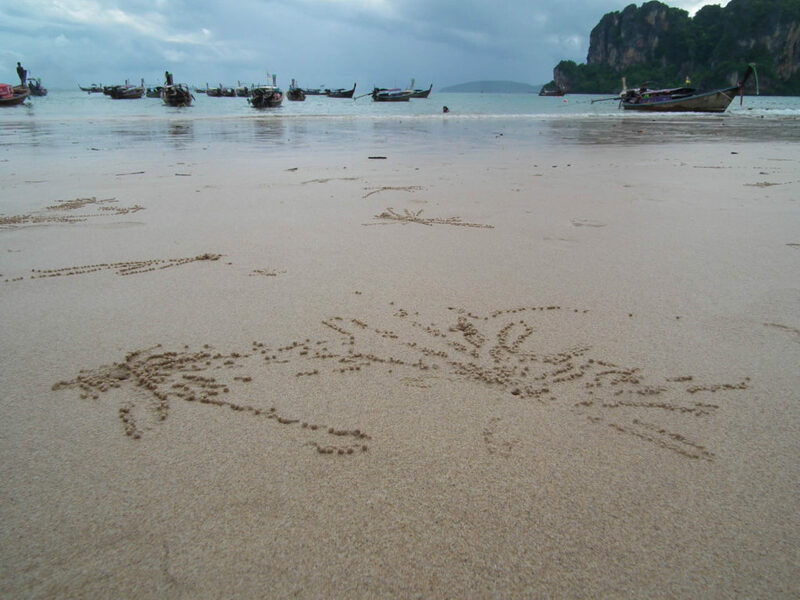 While sand bubblers are found on many beaches in the Indo-Pacific region, I became fascinated with the sand bubbler crabs and the designs they would leave on Railay Beach West. 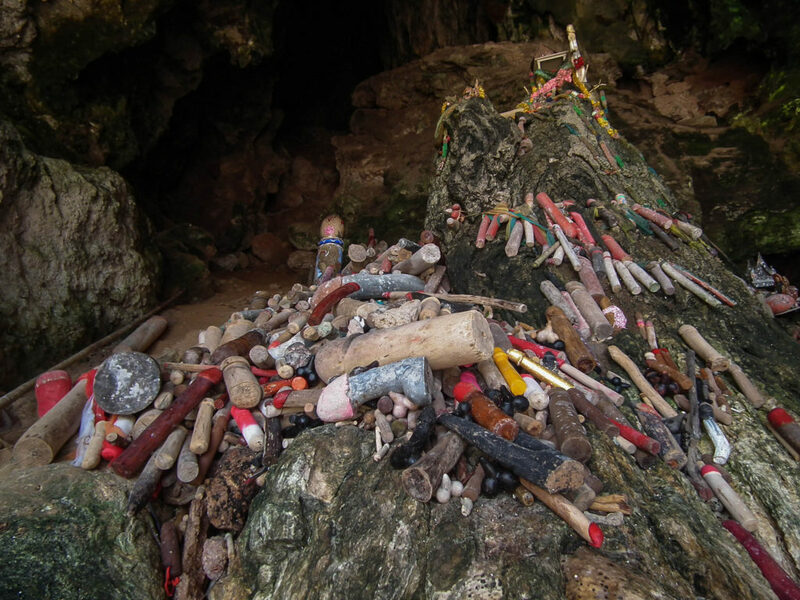 For those interested in culture, there is a very interesting type of shrine located in a cave on Phra Nang Beach. 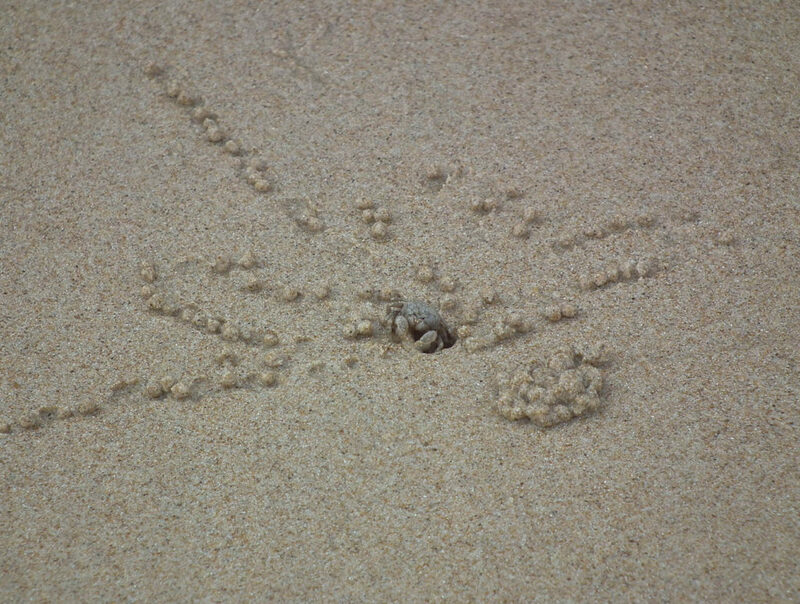 The fertility cave, also known as Motouleng, is indeed full of phallic-shaped offerings as shown in the picture above. 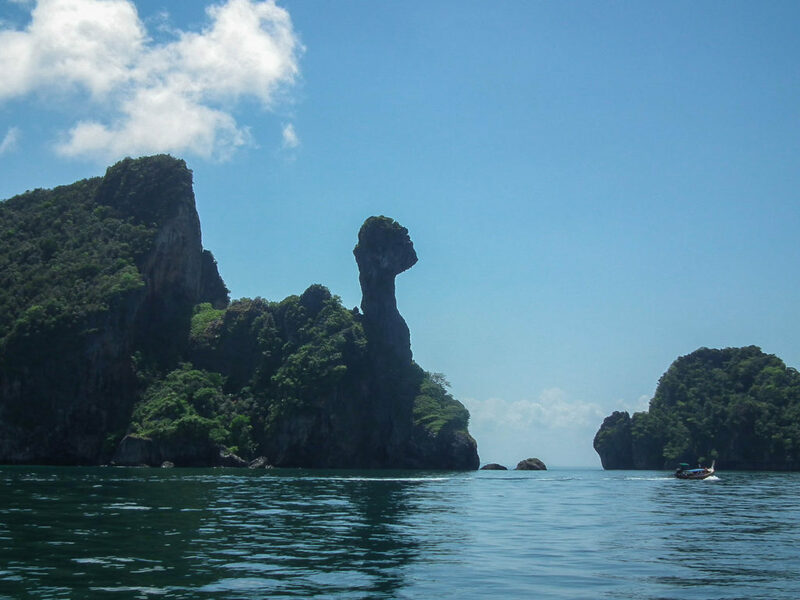 If you’re wanting a change of pace from Railay, there’s plenty of other Thai gems that are just a boat ride away. 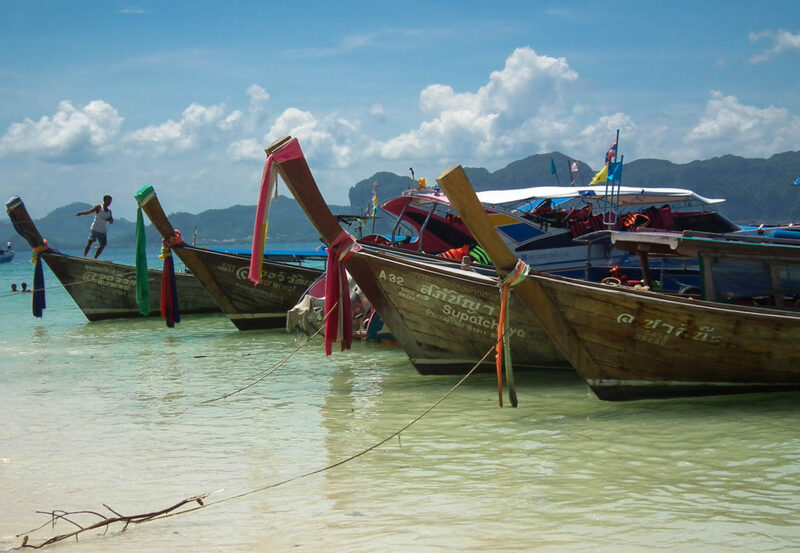 With over 300 islands in Thailand, island hopping tends to be a great option for a day trip. 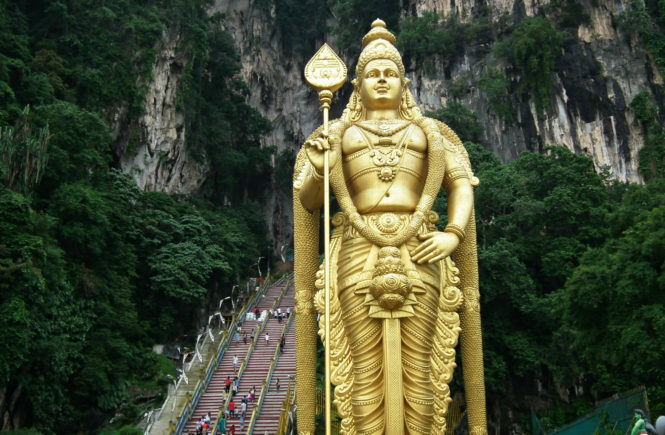 From Railay, some of the most popular trips are the 4-Island Tour (visiting Poda Island, Chicken Island, Tup Island and Mor Island) or the Phi Phi Islands tour. 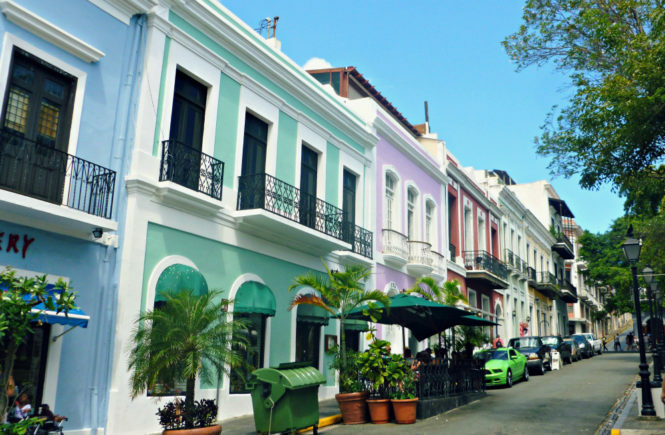 Chicken Island… any guesses where the name of this island originated from? Similar to other countries, citizens of certain countries will require a visa to enter Thailand. If you are from one of the countries requiring a visa, these can be organised on arrival before you go through immigration. 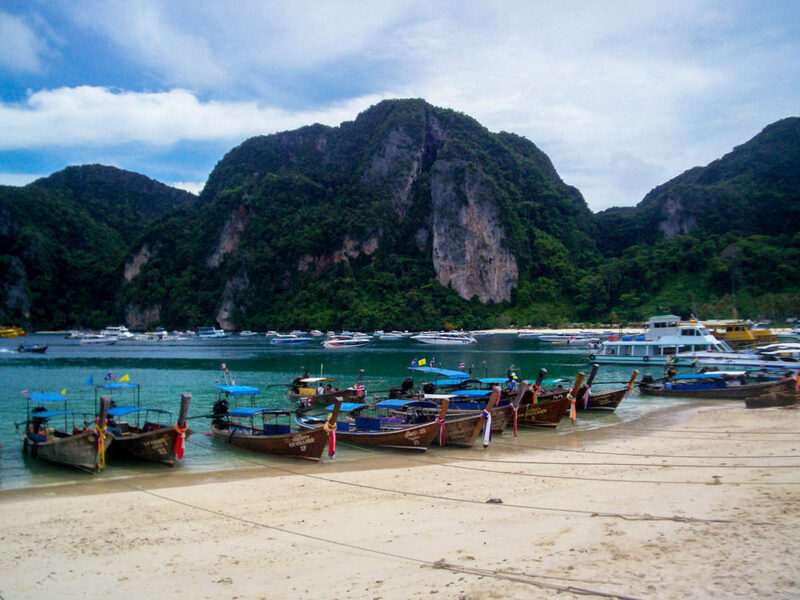 There are several places (Phuket, from which you can reach Railay, however, I arrived at Krabi Airport. 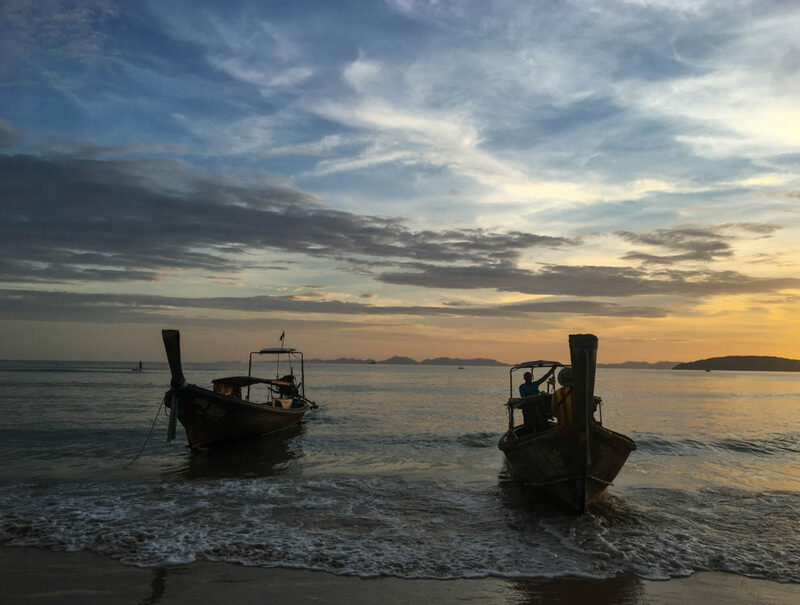 From the airport, you’ll need to arrange a taxi or shuttle service from Krabi Airport to Krabi Pier (also known as Ao Nam Mao Pier), where you’ll catch a boat to Railay Beach. In May 2016, a taxi cost approximately 600 Baht. The only way in and out of Railay Beach is by boat, setting the pace for its secluded and laid-back island vibe. 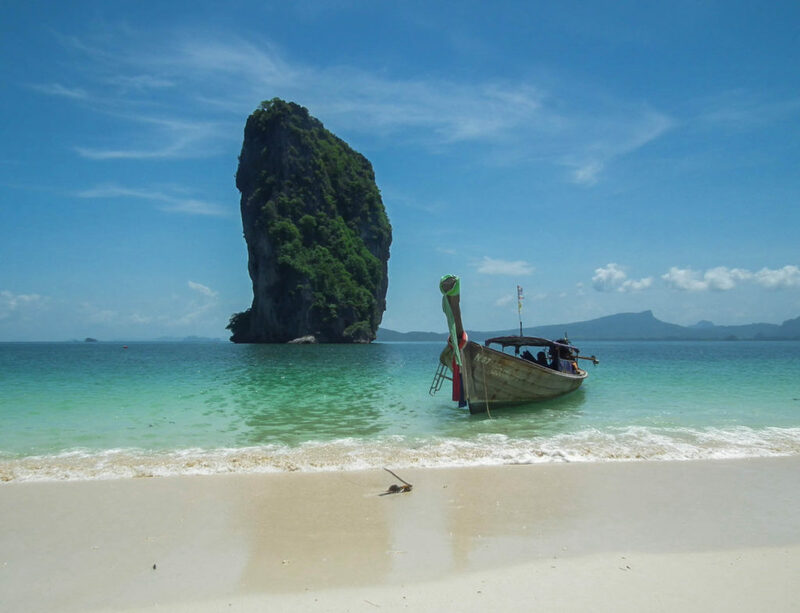 From Krabi Pier (also known as Ao Nam Mao Pier), you can purchase tickets across to Railay Beach. The boat ride from Krabi Pier to Railay cost 100 Baht as of May 2016. 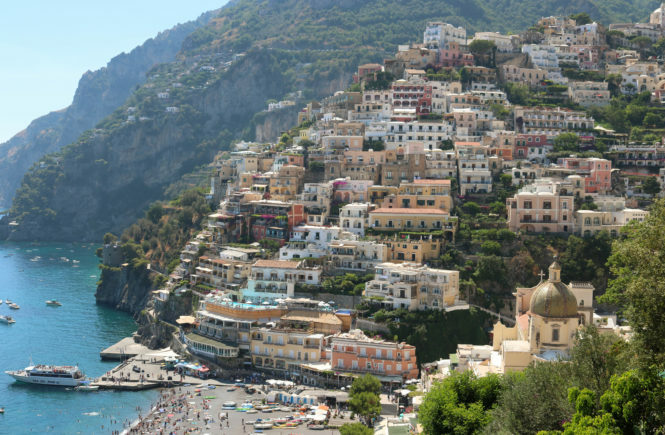 You will arrive by boat on the east side of the island.